The state of Connecticut passed a set of rules aimed at protecting landlords and tenants. These laws can be found under Title 47a of Connecticut’s General Statutes. The goal of these rules is to define the rights and responsibilities of both parties in rental related activities. Learn eight rights of Connecticut landlords and tenants. A landlord has the right to select a tenant based on qualifying standards that he or she has for all tenants. This could include qualifications such as income or number of people per bedroom. A landlord is not allowed to discriminate against a tenant. Discrimination means refusing to rent to a tenant or attempting to evict a tenant because he or she is a member of a certain class of people. In Connecticut, a landlord can only charge a tenant a maximum of two months’ rent as a security deposit. An exception to this rule is for tenants over the age of 62. In this case, the landlord can only charge a maximum of one month’s rent as a security deposit. Another right of tenants in Connecticut when it comes to the security deposit is the way it is stored. The deposit must be placed in an interest bearing account in the state and the interest on the account must be paid to the tenant yearly. In addition, landlords must usually return the tenant’s security deposit, minus any lawful deductions, within 30 days of tenant move-out. Landlords may accept cash as long as they provide a receipt and cannot exclusively require tenants to use electronic deposit to pay the rent. Connecticut offers tenants a grace period when paying their rent. Weekly tenants have four days after the due date to pay their rent and monthly tenants have nine days after the due date to make sure the rent is current. Sec. 47a-20 - 47 a-20a; 47a-33. First, it lists five legally allowed actions of a tenant, such as complaining about a substantial health violation, that could trigger a landlord to retaliate against the tenant. Second, it lists several actions of a landlord that could be classified as retaliatory, such as increasing a tenant’s rent, if the landlord’s action occurs within six months of the tenant’s complaint. Finally, the law explains the situations where a landlord’s action, such as increasing the rent, would not be classified as retaliation, such as if the issue the tenant was complaining about was caused by the tenant’s own negligence or deliberate act. 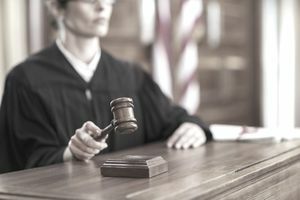 Connecticut landlord tenant law allows tenant who have been victims of domestic violence to terminate their lease agreement. Certain conditions must still be met, such as giving the landlord proper written notice and providing the proper documentation to prove the violence or assault occured. Connecticut law includes protections for those who have been victims of family violence, as well as those who have been victims of sexual assault. Sec. 47a-16; 47a-16a. ; 47a-18; and 47a-18a. Connecticut has rules in place for when and why landlords can enter a tenant’s apartment. Tenants have the right to notice in the state in most situations. There are certain times, such as during an extended absence or an emergency, that a landlord does not have to give this advanced notice. If a landlord enters a tenant’s unit illegally, the tenant could be granted injunctive relief, as well as monetary damages. Sec. 47a-4a;. 47a-7. and 47a-14h. If a landlord in Connecticut violates a building or housing code, the tenant may have the right to withhold rent for repairs. The tenant must first file the proper complaints, then must pay their weekly or monthly rent amount into the court. The court will go over the complaint and will rule in the favor of the landlord or tenant. The tenant may be entitled to additional monetary damages. Sec. 47a-12.;47a-13. ;47a-16; 47a-16a. ; 47a-18. ; 47a-18a. ; 46b-38a,; 47a-11e; Servicemembers Civil Relief Act, 50 U.S.C. App. §§535. When a landlord fails to supply necessary services or otherwise violates substantial building and housing codes. If the landlord is harassing the tenant. If the tenant is a victim of domestic violence. If the tenant is a member of the military who has received an active duty notice. To view the text of Connecticut’s landlord tenant law, please consult Connecticut General Statutes Annotated §§ Sec 47-a1 through 47a-74.